Download Diary Amily font for free. Diary Amily is a font / typeface offered for free. please note that if the license offered here is non-commercial you have to obtain a commercial use license / permit from the original author. This font was inspired by a writing in a beautiful woman’s diary, and whatever was passed was always written in the book, and the diary being a medium of appreciation for him, I saw and read all the contents of the book full of love poetry. so don’t hesitate to use this font for a loving design. Diary Amily Script is perfect for branding, wedding invitations, magazines, mugs, business cards, quotes, posters, and many more that you can use on your big project will be very beautiful. Diary Amily Script is equipped with the OpenType feature and has many glyphs. and of course having a lot of glyphs will be able to choose letters to your liking, lots of variations and choices for each letter, so you can customize your design choices and also support other languages. 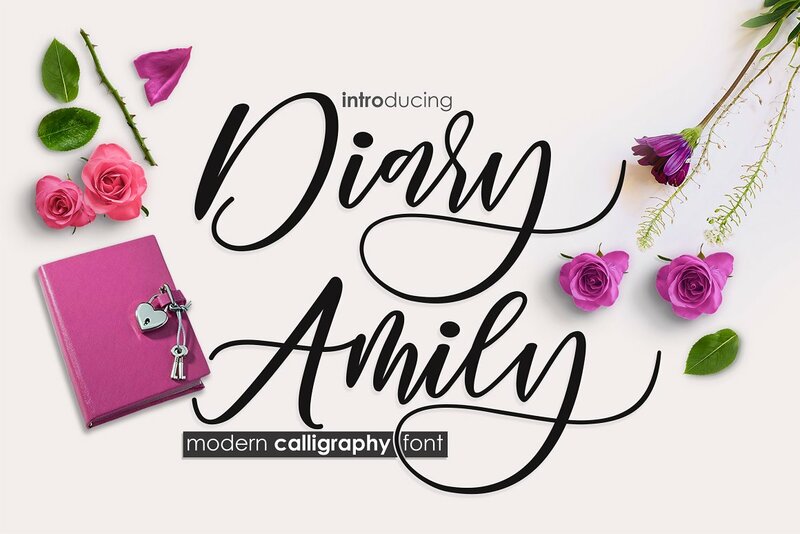 If the Diary Amily font is offered under 'commercial use free' or 'creative common' license, feel free to use Diary Amily font for any purpose.